We're continuing our Forest Plan Revision Open Houses next week on Tuesday, July 18th from 1-3:30pm in both Pecos (High School) and Santa Fe (Supervisor's Office). These Open Houses are intended to keep the public involved between our more formal rounds of public meetings and we will keep you informed when we are ready for the next round of evening and technical public meetings. If you can't make it to an Open House, please call (505) 438-5442 or email santafeforestplan@fs.fed.us with any questions. 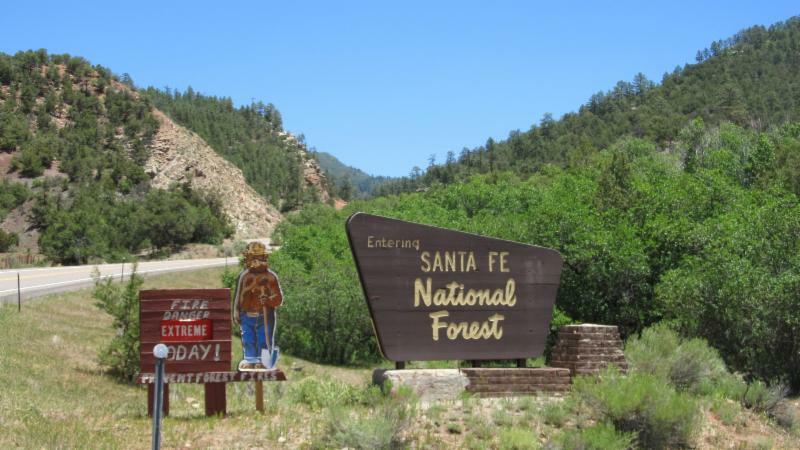 The Santa Fe National Forest (SFNF) is revising its Land and Resource Management Plan (Forest Plan), which will guide management of all forest resources for 10 to 15 years. We have selected summer Open House dates (all are 1-3:30pm) and topics (see below). There will not be a presentation or an agenda at the Open Houses. It is a casual opportunity to engage with Forest Service specialists about Forest Plan Revision. You can arrive any time (not just at 1 pm), stay for as little or long as you like, and can circulate among Forest Service specialists discussing various resources. Open Houses are not part of a comment period so we will not be recording public comments, but specialists may take informal notes during conversations. We will bring our current work to share with you and answer your questions, but we will be reviewing pre-draft material which will not be made available to the public either as a handout or on our website. This is an informal, intermediary step. We will bring handouts from previous public meetings, which are available on our website, and there will be opportunities later for public comment on draft work products. If you have questions please call (505-438-5442) or email santafeforestplan@fs.fed.us or mail: Forest Plan Revision, Santa Fe National Forest, 11 Forest Lane, Santa Fe, NM 87508. To learn more, please visit our website: www.fs.usda.gov/goto/santafeforestplan.